This January four of Curwen Gallery’s most esteemed painters; John Brokenshire, Mark Godwin, Robin Richmond and Richard Walker come together to create Abstract Landscapes. With their recent works, these artists continue the tradition of landscape painting but pursue an original direction, reinvigorating the practice with new ideas. Abstract Landscapes aims to examine their innovative approach. These artists share a common interest in capturing the essence and spirit of place rather than making a literal transcription of a particular location. Each treads a delicate balance between figuration and abstraction, their paintings being an intuitive emotional response to the environment whilst at the same time referencing its factual contours. 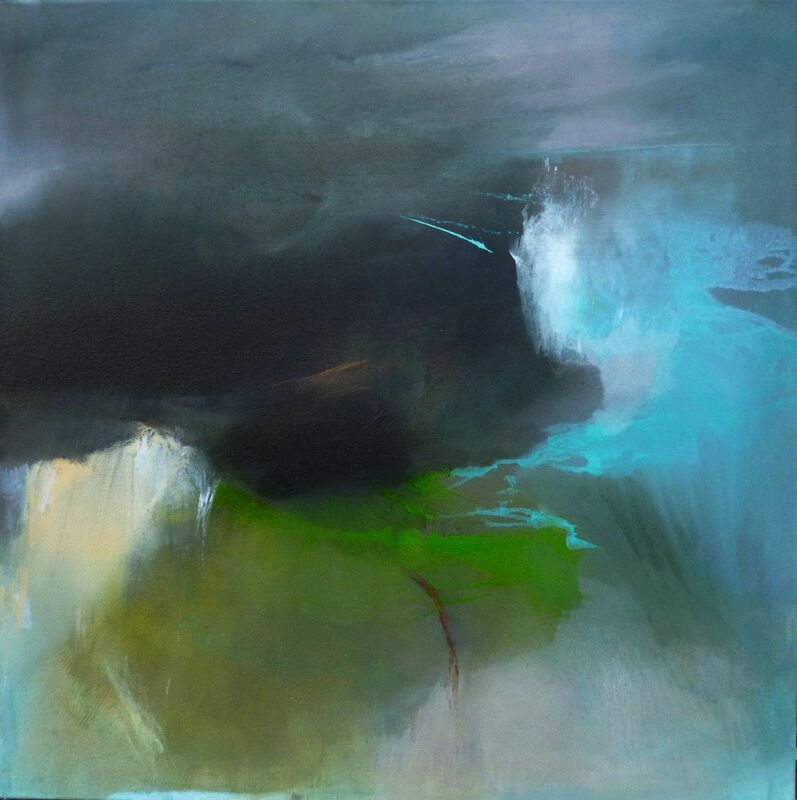 Abstract Landscapes is part of a series of events produced by Curwen Gallery which seek to promote contemporary painting. This exhibition follows the hugely successful Curwen Gallery Prize for Figurative Painting, which championed the work of emerging representational painters. During the exhibition Curwen Gallery has organised a discussion between artists Robin Richmond and Richard Walker with critic Corinna Lotz. The artists will be discussing how they maintain their relevance within the tradition of landscape painting. The discussion will be transcribed and published after the event. All four artists have very different concentrations within the field of landscape painting. 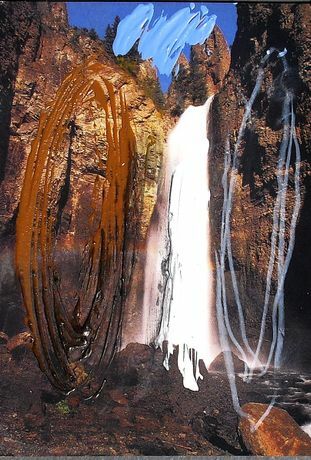 Furthest from traditional notions of the subject is Richard Walker, working mainly on canvas, using paint, collage, wax crayons and charcoal, incorporating text and found imagery. In Mark Godwin’s work the romantic idea of The Sublime provides inspiration, a notion that he strongly associates with the sea and coastline. His work is often playful and colourful, with bold colours making intense sensorial impressions. 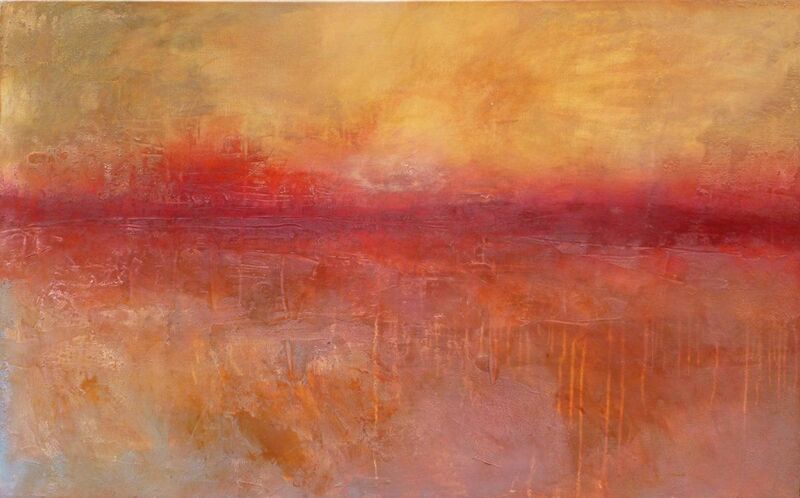 Robin Richmond finds her motivation in expansive scenery such as fields and valleys. Her subject is memory and the distillation of the experience of being in a landscape. Her paintings combine observation with automatic creation, capturing the essence of the place. In a similar way to Robin, John Brokenshire’s work is composed as an emotional response to a place rather than as an attempt to illustrate it. He spends much of his time walking in the Peak District, finding the experience of being in nature of essential importance to his painting.